There are a lot of painting apps, but only a few really shine amongst artists that are serious about their work being created on an iPad. Of course, what makes a drawing/painting app even better is if anyone can actually use it without a art degree. 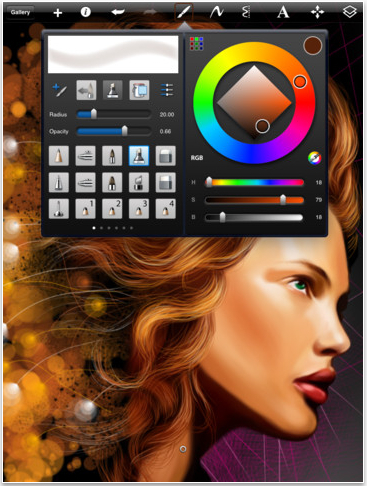 Sketchbook Pro has long been thought of as being top in the group. Watching someone use Sketchbook Pro is just about as much fun as creating art yourself. On finger paint, two finger zoom, three fingers brings up the tools and swipe one finger to adjust tools. Everything else is there as you would hope, a huge assortment of colors from a picker, layers, paint brush and pen tip types, and fillers. Of course, the list of features and capabilities is too long for us to run through here, you can take a look at it over on iTunes. We did want to bring the $1.99 sale (down from $4.99) on the iPad Pro version of Sketchbook to your attention in case you were ever considering a purchase, now is the time!